All in one sensory indoor Therapy Gym for children. Monkey style bars, spinning and swinging all in one. A sensory indoor therapy gym designed for children whom require vestibular import. The sensory indoor therapy Gym comes with swing hooks at the top of the monkey bar which allows different swings to be attached to the gym very easily. 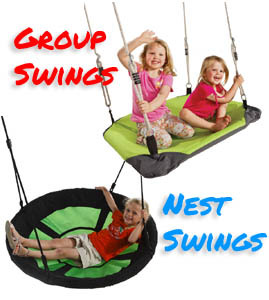 Swings for the Sensory therapy Gym are sold separately. Free standing Sensory therapy Gym - Turn your garage or carport into a sensory therapy gym. Residential play frame. 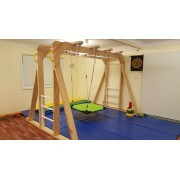 Indoor Home Therapy Gym - 3.6m long - TIMBER - Australian MadeOur Indoor Home Therapy Gym is g..
Indoor Home Therapy Gym 3m - Australian Made - Timber free standing kit included.Swinging, climbing,..
Indoor Sensory Play Gym includes Platform, Rockwall and Slide - Australian Made Swinging, clim..
Bolster swing for sensory integration – Autism Swings for home, school or clinic. The bolste..
Flexion Disc swing for sensory integration – Autism Swings for home, school or clinic. Disc ..
Indoor Platform Swing - Occupational Therapy Swing - Sensory Integration ..
Disc Swing Plastic - Red - KBT The Disk Swing allows children to build core strength..
Disc Swing Plastic - Yellow - KBT The Disk Swing allows children to build core stren.. Residential play equipment attachment - Twizzler Rotational SwingThe twizzler Swing attachment.. Residential play equipment attachment - Twizzler Rotational Swing - REDThe twizzler Swing atta..